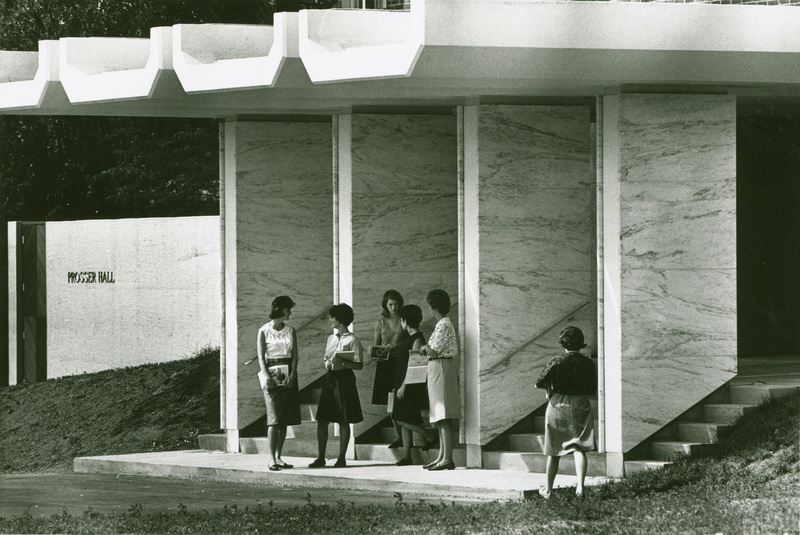 The rapid increase in enrollment at Muhlenberg during the early years of the 1960s was in large part due to the admission of women, beginning in 1957. The first Prosser Hall (now Walz) was added within three years, and the next, the current Prosser Hall, came shortly thereafter. Once again, Mr. and Mrs. Harrison W. Prosser contributed to the College’s expansion, this time donating $250,000 for the new dorm. 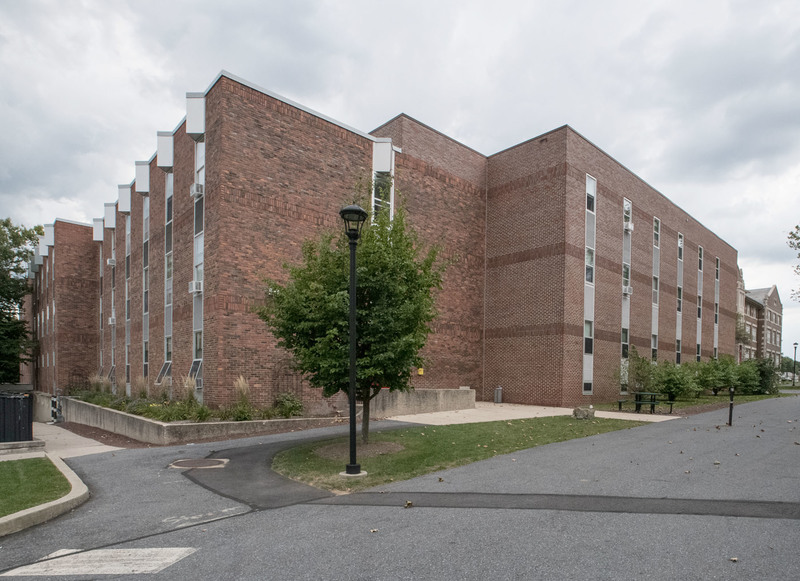 This one, too, was to be called “Prosser Hall,” and the older version was to be renamed “Walz,” which was Mrs. Prosser’s maiden name. Ground was broken, this time to the south of West Hall, on May 6, 1964, and the cornerstone was laid on November 7 of the same year. The general contractor was Thomas A. Armbruster Co., Inc., of Macungie. The new dormitory had rooms for 204 women. 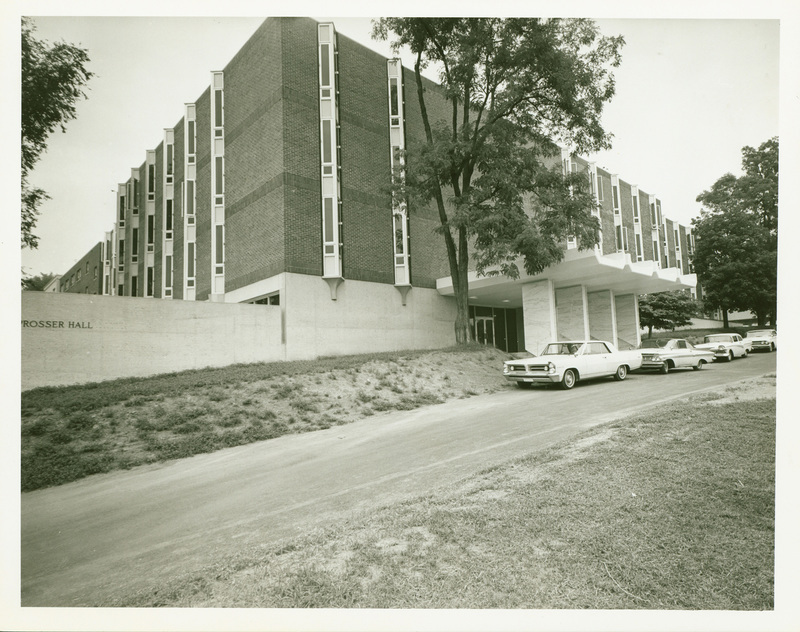 Prosser was dedicated on October 16, 1965, on the same day as Benfer Hall, the new men’s dormitory. 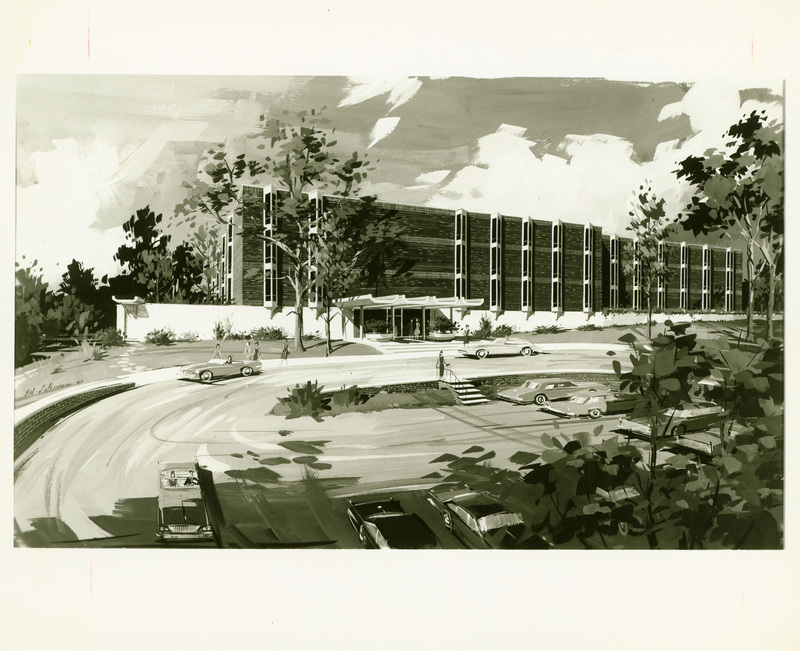 By the fall of 1978, a 60-bed addition had been made to Prosser Hall. According to the alumni magazine that fall, “the most notable additions to the architectural features added by the residents are posters of the casts of Animal House and Charlie’s Angels, found in nearly every room." In the fall of 1994, in keeping with a trend for “special interest housing,” a section of Prosser was designated as a special residence for first-year science students, complete with a computer lab. 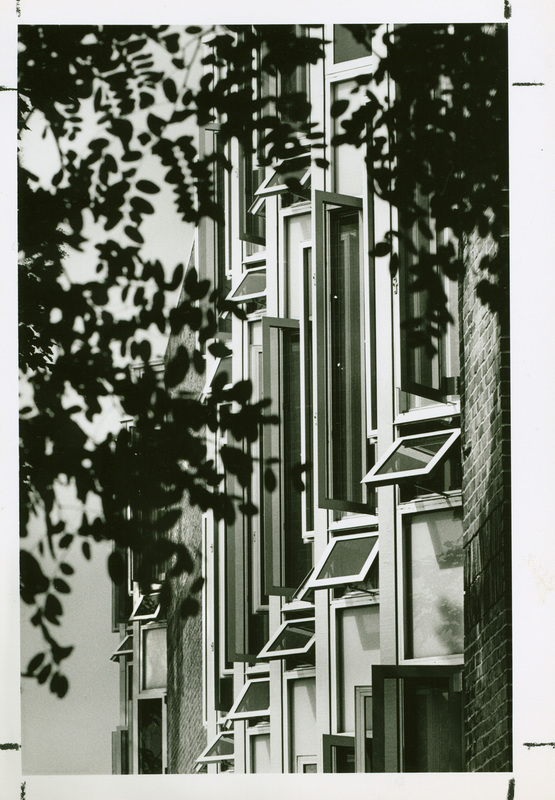 Special Collections and Archives, Trexler Library, Muhlenberg College, “Prosser Hall (1965),” Muhlenberg Pathways to Present, accessed April 23, 2019, http://pathways.trexlerworks.muhlenberg.edu/items/show/8.